Ingeniero Electricista, Especialista en Telemática. Decano Facultad Electromecánica y Electrónica Instituto Tecnológico Metropolitano ITM, Medellín, Colombia. Akshir, M., Kadir, a. (2007). «Critical thinking: A family resemblance in conceptions» en Journal of Education and Human Development, 1(2), 271-282. Austing, R., Campbell, R., Cover, C., Hawthorne, E., Klee, K. (2002). Computing curricula 2003: guidelines for associate-degree curricula in computer science. Los Alamitos: IEEE Computer Society. Austing, R., Campbell, R., Cover, C., Hawthorne, E., Klee, K. (2008). Computing curricula 2008: guidelines for associate-degree curricula in information technology. Los Alamitos: IEEE Computer Society. Bloom, B. (1956). Taxonomy of Educational Objectives, the classification of educational goals—Handbook I: Cognitive Domain. New York: McKay. Campbell, R., Hawthorne, E., Klee, K. (2004). Guidelines for associate-degree programs. Information Systems. Los Alamitos: IEEE Computer Society. CampBell, R., Hawthorne, E., Klee, K. (2005). Computing curricula 2005: guidelines for associate-degree transfer curriculum in software engineering. Los Alamitos: IEEE Computer Society. CampBell, R., Hawthorne, E., Klee, K. (2007). Computing curricula 2007: guidelines for associate-degree transfer curriculum in computer engineering. Los Alamitos: IEEE Computer Society. cañas, a., novak, J., miller, n., collado, c., rodríguez, m., concepción, m., santana, m., peña, l. (2006). «Confiabilidad de una taxonomía topológica para mapas conceptuales». en Proceedings of Second International Conference on Concept Mapping. IHMC, Septiembre, San José de Costa Rica. chen, f., & Burstein, f. (2006). «A dynamic model of knowledge management for higher education development» en Proceedings of 7th international conference on information technology based higher education and training. Sidney. 173–180. committee on academic prerequisites for professional practice. Civil engineering body of knowledge for the 21century: 21 preparing the civil engineer for the future. Reston (VA): American Society of Civil Engineers, July 15, 2007.
cooper, g. (2007). «Design and implementation of an undergraduate bioinformatics curriculum in an online environment» en Frontiers in education conference, Milwaukee, WI. p F2D-7–F2D-11. crawley, e., malmqvist, J., ostlund, s., Brodeur, d. (2007). Rethinking Engineering Education, the CDIO Approach. New York: Springer. davenport, t. & prussak, l. (1998). Working Knowledge: how organizations manage what they know. Boston: Harvard Business School Press. davis, e. (2008). A study of the effects of an experimental spiral physics curriculum taught to sixth grade girls and boys. [Tesis doctoral] Baylor University. de mers, n. (2004). 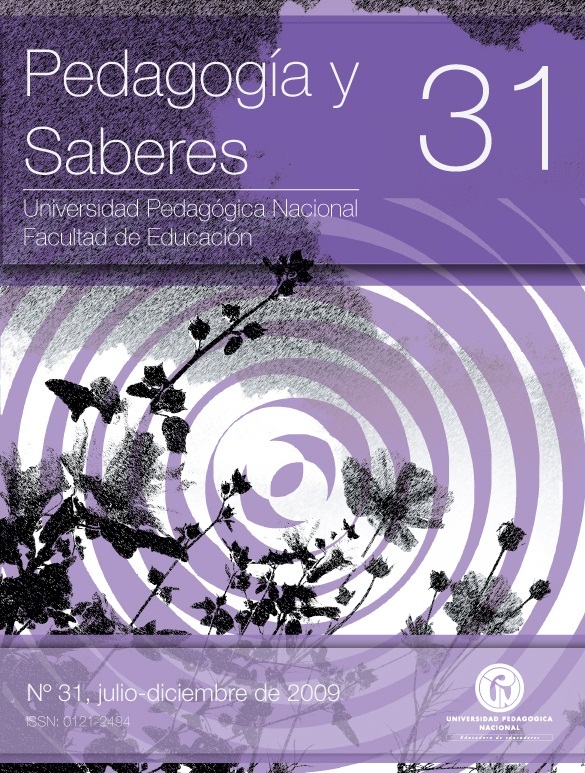 «Bloom’s Taxonomy and the UCGIS Model Curriculum Learning Objectives» en Proceedings of the 4th Annual ESRI Education User Conf. EdUC. San Diego CA. diBiase, d. et al. (2006). Geographic Information Science and Technology Body of Knowledge. Washington D.C: Association of American Geographers, 33–39. dunne, B., Blauch, a., dulimarta, h., sterian, a., wolffe, g. (2007). «Work in progress – CE Curriculum Development Based on IEEE-CS/ACM Body of Knowledge Recommendations» en Frontiers in education conference, p F2D-7–F2D-11. fowler, B. (2004). Bloom’s Taxonomy and Critical Thinking en Critical Thinking Across the Curriculum Project. Lee’s Summit (MI): Longview Community College. gahete, J. (2004). «Aplicación de los mapas conceptuales en el desarrollo del currículo» en Proceedings of the 1st Intl. Conference of Concept Mapping, Pamplona. gimeno, J. (1995). El curriculum: una reflexión sobre la práctica. Madrid: Morata. grundy, s. (1997). Producto o praxis del curriculum. Madrid: Morata. heinze-fry, J. & ludwig, f. (2006). «Cmaptools facilitates alignment of local curriculum with state standards: a case study» en Proceedings of Second International Conference on Concept Mapping. IHMC, Septiembre, San José de Costa Rica. hernández, J., Botero, h., correa, r. (2006). «Aplicación de mapas conceptuales en la gestión de un programa curricular de educación superior en ingeniería» en Second International Conference on Concept Mapping. IHMC, Septiembre, San José de Costa Rica. Journal of Education, 69(3), 4–18. kontopoulos, e., vrakas, d., kokkoras, f., Bassiliades, n., vlahavas, i. (2007). «Paser: a curricula synthesis system based on automated problem solving» en International Journal of Teaching and Case Studies, 1(1-2), 159–170. kontopoulos, e.; vrakas, d.; kokkoras, f.; Bassiliades, n.; vlahavas, i. (2008). «An ontology-based planning system for e-course generation» en Expert Systems with Applications, 35(1-2), July-August 2008, 398–406. manton, e. english, d., russ, c. (2008). «Evaluating knowledge and critical thinking in International Marketing Courses» en College Student Journal, 46–53. novak, Joseph; gowin, david (2000). Aprendiendo a aprender. exercise» en Proceedings of the First International. Conference on Concept Mapping. IHMC: Pamplona. smith, m. (2000). «Curriculum theory and practice» en The encyclopedia of informal education. Londres: Infed. and machine. Reading, (MA): Addison-Wesley. stenhouse, l. (1991). Investigación y desarrollo del curriculum. vilela, r.; austrilino, l.; costa, a. (2004). «Using concept maps for collaborative curriculum development» en Proceedings of the First Int. Conference on Concept Mapping. IHMC: Pamplona. witt, hans-JÖrg (2005). Design and Implementation of a Competency – Based Educational Model in an Academic Organization. [Tesis Doctoral], Universitat Rovira i Virgili. zapata, c., gelBukh, a., arango, f. (2006). «Preconceptual schema: a conceptual-graph-like knowledge representation for requirements elicitation» en Lecture Notes in Computer Science. 4293, 17–27. zhou, g., wang, J., ng, p. (1996). «Curriculum knowledge representation and manipulation in knowledge-based tutoring systems» en IEEE Transactions on Knowledge and Data Engineering, 8(5), 679–689.